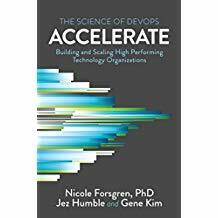 Accelerate: The Science of Lean Software and DevOps: Building and Scaling High Performing Technology Organizations is what you are looking for. This book is not written for software developers - it is for management. It discusses research of the past years on software delivery performance. It contains all the data, the analysis and the research you need to convince your management that these practices do excel “traditional software development” with respect to software delivery performance!